If you've found yourself longingly gazing at posters for the new season of Game Of Thrones but don't yet have a way to watch the final episodes when they air later this month, we've got an unbelievable deal for you. And you'll be able to cancel your Netflix subscription, too. Confess: you covet this deal. That's because Sky has slashed the price of its Best of Sky TV bundle, which includes access to more than 300 live channels. Normally the price is the size of The Mountain, but now it's more like Tyrion proportions. Or maybe Bron. 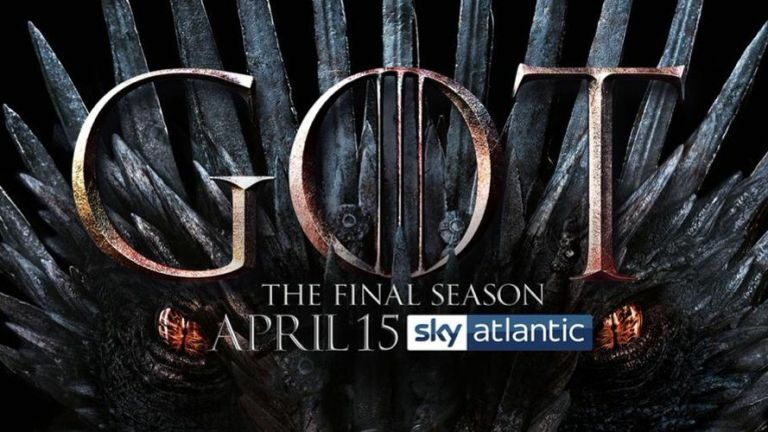 Channels thrown in include Sky Atlantic – where Game Of Thrones will air at the same time as the US premiere on April 14th – plus the premo likes of Sky One, MTV, SyFy, Fox, National Geographic, Discovery, Comedy Central, Sony, and, for the dissolute millennials in your household, VICE TV. There's also Sky Cinema, which boasts a rotating buffet of live channels and 1,000 films on-demand, as well as access to the Sky Cinema app, where you can watch movies directly on your mobile device, at no extra cost. Finally, the deal also includes the Ultimate On Demand package, which lets you rewatch anything from Sky's impressive back catalogue of 1,000 shows, on demand. That includes every episode of Game Of Thrones, Westworld, and Big Little Lies to name a few. You'll also get access to the entire Netflix catalogue in HD without the need to cough up for a separate subscription. And don't worry if you're worried about losing your viewing history and perfectly tuned recommendations – you can keep your account when you sign in with your credentials on a Sky Q set-top box. Sky typically charges £55 a month for this Dornish treasure trove of live and on-demand entertainment but, it has now massacred that price, Red Wedding style, cutting it down to just £42 a month when you sign-up to a new 18-month contract. That's a whopping £234 saving over the lifetime of your contract, not to mention the money saved by cancelling your current Netflix subscription. However, you'll have to be quick as Sky is bringing its Best of Sky TV bundle deal to an end tomorrow (April 11). If you're keen to upgrade your set-top box to the flagship Sky Q, dreaming of getting your hands on the 1,000 box sets on-demand, watching the latest movies via Sky Cinema, or streamlining your monthly bills so that you can ditch the separate Netflix direct debit, it's definitely worth adding this deal to your basket sooner rather than later. This bumper new deal drops the cost by £13 a month and it lets you cancel your existing Netflix subscription and still access the on-demand service's vast array of exclusive shows and movies. The Best Of Sky TV also includes access to the full Sky Kids offering too. As always, there's a £20 one-off standard set-up to get your brand-new Sky Q kit up-and-running. As you checkout with this new deal, Sky will offer a number of optional extras that you can add. To our mind, the most tempting of these is the complete Sky Sports bundle, which includes every Sky Sports channel in High Definition, for £23 a month – that's a saving of £7 compared to its typical £30 asking price. That'll save you £136 over the course of the 18-month contract, which is a tidy chunk of change. If you're not a sports fan, not to worry. There should be more than enough to keep you busy between the on-demand and live shows and movies available from Sky – and the entire Netflix catalogue included in this bumper deal.